What is the EARN Indiana program? The Employer Aid Readiness Network (EARN) Indiana is an experiential learning internship program administered by the Indiana Commission for Higher Education (CHE) in partnership with Indiana INTERNnet (IIN). It is designed to provide financial assistance to employers who provide paid internships for qualified Hoosier students currently enrolled full or part-time in a post-secondary education program. EARN Indiana was established in 2013 under Indiana Code 21-16-2. What makes an internship EARN Indiana eligible? Federal work study funds may not be received for the internship position. When do EARN Indiana internships take place? EARN Indiana internships all year long. However, the internship must last at least 8 weeks and cannot exceed a year in length. What happens if the internship’s start date passes? Once you submit an EARN Indiana internship application, certain fields such as the start and end dates cannot be edited. 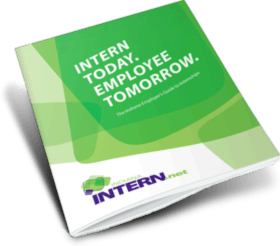 If you are unable to secure an intern prior to your internship’s start date, contact Indiana INTERNnet at INTERNnet@indianachamber.com for assistance. Can an Internship being Paid Through a Stipend Participate in EARN Indiana? No, employers must offer interns an hourly rate, and then CHE will match the hourly rate up to 50%. With a stipend there is no hourly rate to match. How does an employer become qualified for EARN Indiana funding? EARN Indiana is an internship-based approval program, meaning that each individual internship opportunity with an employer must be approved by the CHE. Internships must be posted on IIN for EARN Indiana approval. Once an employer has created their internship posting they can apply via IIN for EARN Indiana funding by clicking a banner with the EARN Indiana logo above the finished posting on their organization workspace. Once an employer has applied for approval, they can expect a response from the CHE within five (5) business days. When should an employer apply for approval of an internship? Employers should apply to EARN Indiana before finding an intern. Employers should apply at least 3-4 weeks before the start of their internship to ensure plenty of time to receive approval to participate in EARN Indiana and recruit an intern. Do not wait to apply to EARN Indiana after your intern has already started working. Backdating the start date of EARN Indiana internships is not permitted. Should an employer submit the internship for approval before they begin the hiring process? Employers are not required to apply for approval prior to the hiring process, but it is strongly encouraged. However, please submit your application prior to when your intern is expected to begin working. CHE will work to provide approval in a timely fashion that allows the employer time to manage the hiring process. What happens after an employer has an internship approved? The EARN Indiana logo will appear next to the internship and on the internship’s page within IIN. Students will be able to search for EARN Indiana-approved positions. The employer will receive an email from CHE verifying the internship title, work hours, pay rates, links to forms that must be submitted (W-9 and Direct Deposit) and information about how to access to the reimbursement system, ScholarTrack. ScholarTrack is where employers are able to input their intern(s)' hours for reimbursement. What if an employer has a need for multiple interns for the same position? Can they all be EARN Indiana approved? If a position is EARN Indiana approved and you like to employ multiple interns, multiple positions with the same role can be approved. When adding the internship on IIN, there is a field to note how many openings are available for a position. What steps should an employer take to apply for EARN Indiana? Create an organization profile at IndianaINTERN.net. Add an internship, including all details about time, pay, project work, mentoring and other required information. Click on the EARN Indiana banner at the top of the organization workspace and complete the form. Click “Apply for EARN Indiana” to submit the application to CHE. You should receive an email from CHE within 5 business days regarding the status of the internship. You will receive an email from the CHE with information about accessing ScholarTrack, the EARN Indiana reimbursment system. Search for students on IIN, wait for students to apply or have your intern(s) create an account on IIN (if you have recruited them outside the site). Have the potential intern(s) complete the EARN Indiana form. The EARN Indiana banner will be located on their profile similar to yours. Their form is short and they will receive an immediate response letting them know whether or not they are eligible. Completing the EARN Indiana form is not a requirement to register on IIN. EARN Indiana-eligible students are marked with the EARN Indiana logo. Some students may be EARN Indiana eligible, but haven’t completed the form. You can contact the student and ask them to do so. Verify that the student is enrolled as a full-time student or a part-time, independent student. Even if the student has qualified for EARN Indiana, they must meet post-secondary school enrollment requirements to participate in the program. If the student is not enrolled full-time or is not a part-time, independent student, employers have the option to retain the student in the position; however, they will be responsible for the entirety of the student’s wages. Mark your position as filled by clicking the green silhouette with a plus sign located to the right of the internship title. Then, select the student’s name in the "Select an Applicant" dropdown menu or enter their name in the "Search for an Intern" text box. If the student's name doesn't appear in either of the two locations, please contact INTERNnet@indianachamber.com. Once you have marked the position as filled, you will be able to log in to ScholarTrack to enter the intern’s hours. If you hire a student not eligible for EARN Indiana, please log into your account on IIN and mark the position as filled. Review the reason for denial and make any necessary changes to your internship program. Resubmit the position for EARN Indiana. If denied and you are unable to change the internship to meet EARN Indiana standards, you may continue to use IIN to connect with interns without receiving EARN Indiana funds. Can I offer multiple positions for the same internship, but with different pay rates? Yes. If you've hired multiple interns for the same internship with different pay rates, you will need to submit separate EARN Indiana applications for each hourly wage. First, duplicate the position on IIN by clicking the two pieces of paper next to the internship's title in your workspace. Be sure to give each duplicated internship a unique title, so you will remember which internship corresponds with the wage offered. After the position has been duplicated, submit its EARN Indiana application. Can I save my progress on my EARN Indiana application? Yes, you can. In order to do this, click the "Save Your Progress" button located at the bottom of the EARN Indiana application. If you would like to access your application again, click your internship's title in your workspace. Then, click the green EARN Indiana banner at the top of your screen. Your application will open up with all of your progress saved. Once you are ready to submit your application, click "Apply for EARN Indiana." Can I have local residency restrictions on an EARN Indiana approved position? No. EARN Indiana-approved internships must be open to all students, regardless of residency. How do I know if a student is EARN Indiana eligible? EARN Indiana-eligible students will have the EARN Indiana logo next to their names and on their profile pages on IIN. When looking for applicants, an employer can search for EARN Indiana-eligible students. What Indiana Institutions can students be enrolled in for EARN Indiana eligibility? Here is a listing of Indiana Institutions that are eligible to administer State Financial Aid. Can an EARN Indiana-eligible student who graduated in May still be eligible during the summer? An intern can work and qualify for EARN Indiana in the semester immediately following graduation. So as an example, a May graduate whose Expected Family Contribution from their most recent FAFSA qualified them for EARN Indiana could work in an EARN Indiana internship during the summer. I’m a high school senior, enrolled at an Indiana college or university. Am I eligible for EARN Indiana the summer after I graduate high school? No, you are not eligible to participate as an EARN Indiana intern for an internship that will be completed the summer after high school. Eligibility for EARN Indiana participation is based on the upcoming academic year’s Expected Family Contribution (EFC) from your FAFSA. Eligibility to participate as an EARN Indiana intern begins the fall semester of that year. As an example, if you graduate from high school in the spring of 2019, file a 2018-2019 FAFSA, and, based on your FAFSA dependency status and EFC, you qualify as EARN Indiana-eligible, you are able to work as an EARN Indiana intern for positions starting in the fall of 2019. What year of the student's FAFSA is eligibility based off of? Currently, student eligibility is based off of the '18/'19 FAFSA. If I'm from out of state, but live off campus at an Indiana college or university, am I eligible for EARN Indiana? Unless you are a legal resident of Indiana, you are not eligible. Your residency is based off of the address of your true, fixed and permanent home. Living in Indiana for solely educational purposes is not considered legal residency. How can a student be considered an Indiana resident? According to CHE, to be considered a resident of Indiana, you must be domiciled in the state on or before December 31st of the year preceding application for an award and be continuously domiciled in the state thereafter. Dependent Student Residency: Dependent students and their parents listed on the FAFSA must be domiciled in Indiana on December 31 of the calendar year immediately preceding the award year to receive the scholarship, and students must remain living in the state thereafter. The parents listed on the FAFSA do not need to remain living in Indiana. Once dependent students use a state financial aid award, they have established residency for state financial aid purposes. In subsequent award years, only the students’ residency is considered for eligibility purposes. Independent Student Residency: Independent students must be domiciled in Indiana on December 31 of the calendar year immediately preceding the award year to receiving the scholarship, and must remain living in the state thereafter. How much of an intern’s pay will EARN Indiana cover? EARN Indiana will cover up to 50% of the hourly wage paid for an EARN Indiana-eligible student’s approved internship. Internships must be approved by CHE and the employer must hire an EARN Indiana-eligible student in order to receive reimbursement. Wages will be reimbursed only for hours worked and reported up to the maximum allowed (20 hours from August 16 - April 30; 40 hours from May 1 - August 15). Can an employer receive EARN Indiana funding for any intern? Funding can be received for interns who have been verified as EARN Indiana eligible. Both full and part-time students attending an eligible Indiana college or university are eligible to participate in EARN Indiana. Full-time students must have an Expected Family Contribution (EFC) of no more than $24,570 to qualify for the program. Part-time, independent students must have an EFC of no more than $2,000. Both the EFC and the student’s dependency status are based on information from the student’s Free Application for Federal Student Aid (FAFSA). Is there a specific way a student must apply for an internship in order to receive EARN Indiana funding? A student must create and IIN account and apply to EARN Indiana to confirm their eligibility. After the student makes their account, the EARN Indiana application will be the first thing that pops up. Once they complete the extremely short application, they will find out immediately if they're eligible. If a student is eligible, the EARN Indiana logo will appear on their profile. Please note that not all eligible students will be aware of their eligibility. Employers should encourage students to complete verification through IIN. Why does an employer have to mark the position as filled on IIN? Select your intern’s name from the “Select and applicant” dropdown menu or type their name in the “Search for an Intern” text box. If you do not see their name in either of these locations, then the intern needs to make and IIN account and apply to EARN Indiana. You must do this step correctly in order to link up your intern with your position in the reimbursement system for EARN Indiana. The internship was properly marked filled if the EARN Indiana banner is located to the right of the student’s name in the “Current Fillings” section of your internship. How are EARN Indiana funds dispersed to employers for qualified internships? When positions are approved to participate in EARN Indiana, employers are emailed a user name and guide to accessing the program’s reimbursement system. This system is separate from the IIN website. Employers also receive a copy of State Form 47551 (Automated Direct Deposit Authorization Agreement) and Form W-9 (Request for Taxpayer Identification Number and Certification). The latter two must be returned to CHE for funds to be direct deposited to the employer. How do I track intern hours for reimbursement? Hours are reported as weekly totals, and may be reported as convenient for the employer. CHE processes submitted hours once a week. Per state policy, reimbursements are typically paid 35 days in arrears. The reimbursement system displays when hours are being processed or have been paid. All hours must be reported no later than one month after the internship ends in order to recieve reimbursement. How does EARN Indiana figure the percentage reimbursed to an employer? Currently, EARN Indiana will cover up to 50% of an intern’s salary. Funding percentages are based on the amount of positions that have already been approved and funding that has been allocated. Will an employer be penalized if they do not hire an EARN Indiana-eligible student even after the EARN Indiana application was submitted and approved? Employers are not penalized for not hiring an EARN Indiana-eligible student. Employers should hire the best person for the job, and all applicants should have an equal opportunity for employment. When applying for EARN Indiana, the employer can list if they desire to hire only EARN-eligible students, or if the internship is open to all applicants. Can I receive funding to pay for the other portion of the internship that EARN Indiana does not cover? Employers may receive assistance from other funding streams. Private grants and support can be used to supplement an intern’s salary. However, an employer may NOT receive EARN Indiana funds and federal work-study funds for the same position. Due to the Affordable Care Act, will an employer who is participating in EARN Indiana be required to provide health insurance if the intern is working more than 29 hours a week? From the Indiana Attorney General’s office: Under the Affordable Care Act, employers participating in the EARN Indiana program would not be required to provide student interns with health care insurance due to the fact that they are not considered “full-time” employees. More information can be found at http://in.gov/che/files/EARN_Indiana_Affordable_Care_Act_Memo_June_6_2013.pdf. I need help entering my intern's hours into the reimbursement site. CHE manages the reimbursement of EARN Indiana funds. If you need assistance with anything involving reimbursement or the reimbursement site, please email CHE at EARNIndiana@CHE.in.gov, not IIN.